A Salute to the Jaguar Seniors!! Jaguars are 2016 NHIAA DII Champions!! For the Jaguars to be Champions and run through the playoffs as the 6th seed, it would take a true team effort to accomplish their dream. "Teams earn Championships" and they certainly did. The flowing blonde locks not only looked great, but somehow bonded this team together by enforcing a 'team over individual' atttitude. 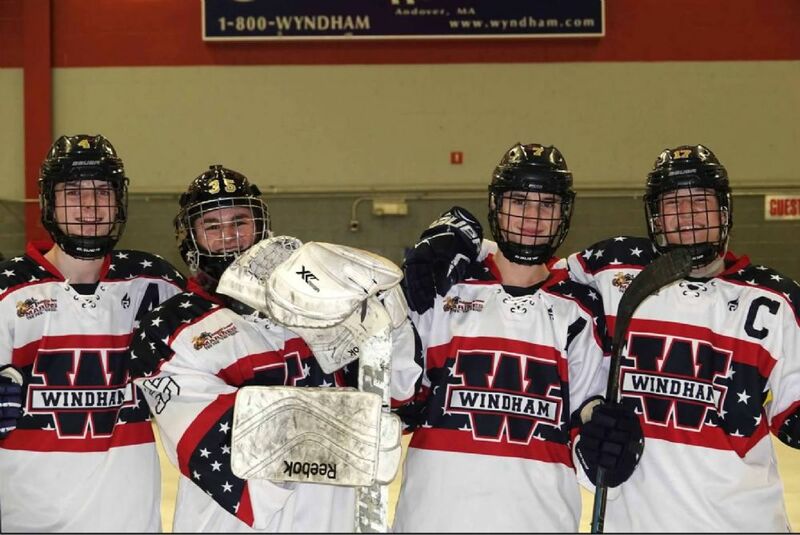 This team, of course, also included the Goalies Christian Bassi and Max Daly who platooned all year and right through the Playoffs! In the 3 playoff games , the Jaguars did it in true team fashion. They received 41 points from 13 different players (17G, 24A). Each game had it's own unique flavor and goal scorers. Culminating in the championship game with the winning goal. A faceoff win by Chad Desautels back to Jack Crowley who gave a quick one timer pass to Bryce Blanchard for the game winner. Sweet! 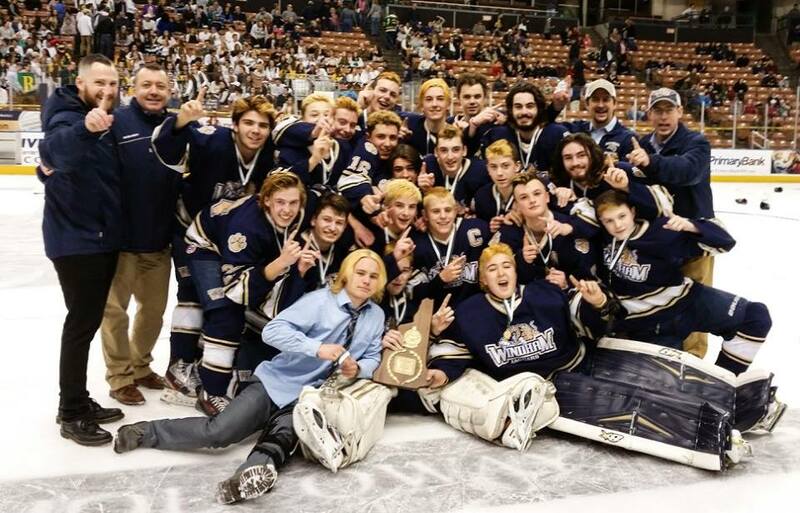 The Windham High School Hockey Team will be celebrating them on Wednesday, February 20, 2019 at 6:50 PM at the Icenter in Salem, NH. 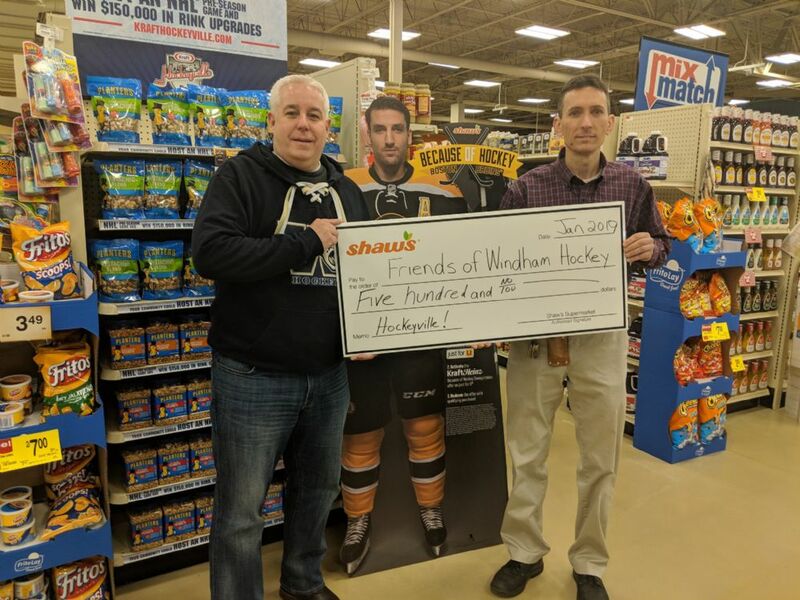 They have had a positive impact on the Team, the School and those that they have worked hard to help and mentor through many different Charities and Programs. They are a great example of what a well-rounded HS Athlete can be. They will be missed!